After much searching and reading of Stack Overflow posts, I decided after reading this, to completely uninstall the jdk and browser plugin from my machine, and start fresh with a clean install of Java for Yosemite. After running that installer, Aptana Studio (and also Eclipse) now launch just fine. Phew. I’m posting this here to help others who are running into the JNI_CreateJavaVM error, and so I can find it again the next time I need to set up a new machine with Eclipse or Aptana. ps. See also comment thread on Facebook. Next Post Ted Cruz Tips GOP Hand on Healthcare Reform? Thanks for posting…helped me quickly fix yet another thing broken by upgrade to Yosemite. Thanks for this, I put of the yosemite upgrade until I finished a major project, thankfully I did as aptana stopped working promptly!! You saved the day.. literally! Thank you so much for your help. I know you posted this about 6 months ago, but I just wanted to stop by and tell you your post is still helping people 6 months later. Thanks! Jake… good post and I’m glad it helped some people. 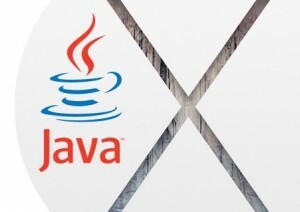 However, even though Apple still offers the version of Java from their web site at the link you provided above, its Java version 6.x which is rather old. The most recent version is Java 8.x. I don’t know about you, but I’m a little leery about installing really old software, especially Java, even if it does come from Apple. Just some food for thought, you know what I’m sayin’?